Cool vector backdrop design with vivid colors. This abstract background is a combination of nature elements and modern design effects like gradients and splatter textures. A swirling rainbow ribbon cuts through the design bringing it to life. 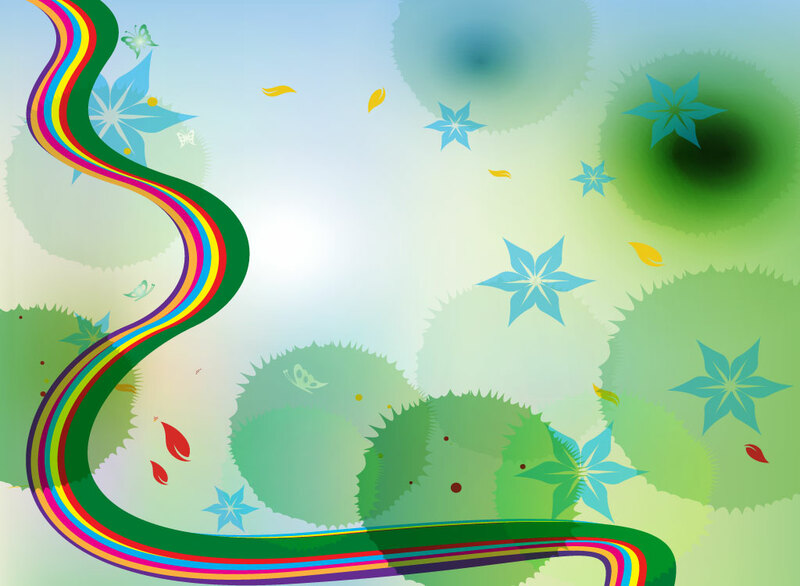 Tags: Abstract, Backgrounds, Colorful, Floral, Nature, Rainbow, Ribbon, Swirl.